With a breadth of detail that will engage a variety of readers working in different research disciplines, this clear and concise introductory text handles difficult concepts with diverse and in-depth examples. 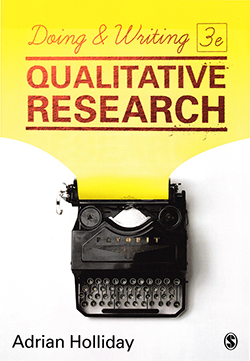 It includes helpful tips on how to manage emerging issues in qualitative research relating to subjectivity, validity, rigour and positioning of the researcher. If these useful pointers are followed it may help to improve the quality of work produced by new researchers. Of special interest is a discussion of the importance of reflexivity in qualitative research. Discussion of this topic is detailed but requires some understanding of the concept, and many readers might have found an introductory explanation of reflexivity helpful. Also lacking is a discussion about the differences between reflection and reflexivity. The distinction between these topics often causes confusion among new nurse researchers, who may be well-versed in the former but not the latter. Overall, the book covers complex qualitative research difficulties and issues with eloquence and skill. However, not all the examples are in a healthcare context, and nurse researchers may have to make further enquiries into examples from healthcare‑specific environments to fully understand some of the issues discussed.